Chorley’s newest British boxing champion is hoping to inspire the next generation of fighters in the town. Jack Catterall was the toast of his hometown at the weekend after winning the prestigious Lonsdale super-lightweight belt. The 24-year-old outpointed defending champion Tyrone Nurse in an impressive display of boxing in Leeds on Saturday night. The big punching southpaw, who is nicknamed El Gato, was back in Chorley this week to show-off his prestigious new belt to a group of young boxers at Jennings Gym, in Coppull Mill. And it was also a chance for the gym’s co-founder Michael Jennings to become re-acquainted with a Lonsdale belt. He won the welterweight version in 2005 when he defeated Jimmy Vincent at the Bolton Arena. 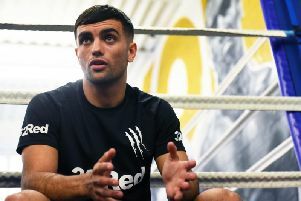 Catterall, who has sparred at the gym in the past although belongs to Manchester-based trainer Haroon Headley, admits it was a great thrill to show-off his belt to the youngsters. “It’s great to come down to Chorley and show the belt toall the kids here at the gym,” said Catterall, who becomes the third man from Chorley to win a British boxing title following Jennings and lightweight Carl Crook. “Hopefully, it will inspire them all because there’s lot of good talent at the gym and maybe one day they can go and win the same belt. “It’s massively important for me to come back to the local community. “I grew up around here – my little brother fights here. 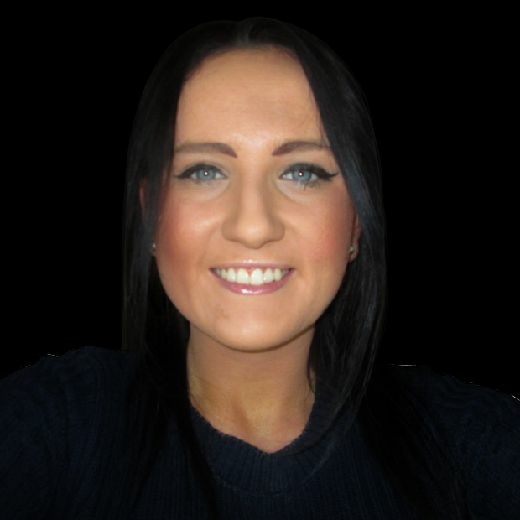 “Even though Chorley is a small town, there’s a lot of good young fighters. Catterall admits he is still on a high after his famous win on Saturday, but already he is looking ahead to the future. “Things are starting to settle down now,” he said. “I keep waking up in the night and having a little look at the belt.